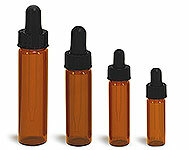 The clear polystyrene plastic jars are available in four sizes, 1/8 oz, 1/4 oz, 1/2 oz and 1 oz. These plastic jars have thick walls and are topped with clear polystyrene dome closures. These jars are perfect for products such as lip balms, cosmetics, and sample size containers.